The Arm Cradle3 immobilizes both arms out of the treatment field. It is light-weight, ergonomic and has a built-in indexing system which allows for use without a separate indexing bar. 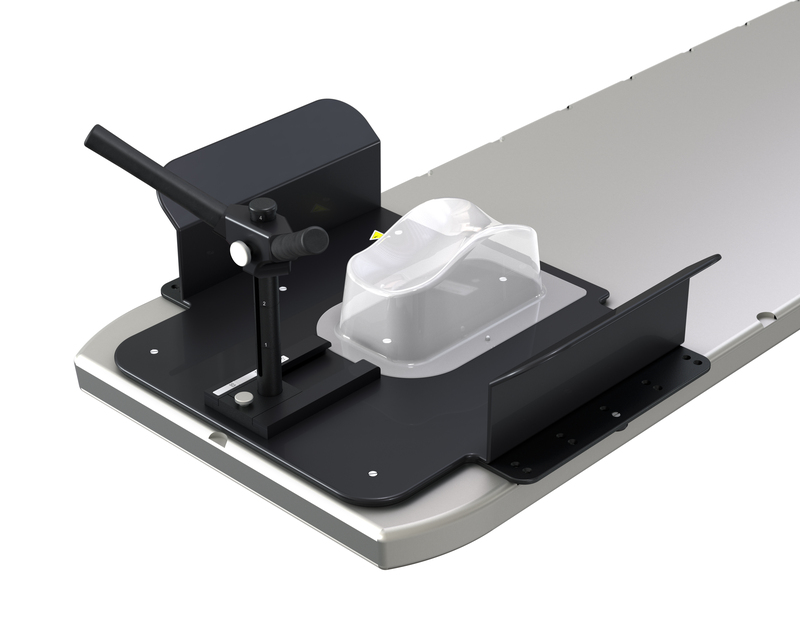 Includes a V-grip built in indexed arm positioning system (total height = 31cm). Includes indexing hardware for both Varian Exact and Elekta MI indexing.